Beautiful in it’s simplicity. 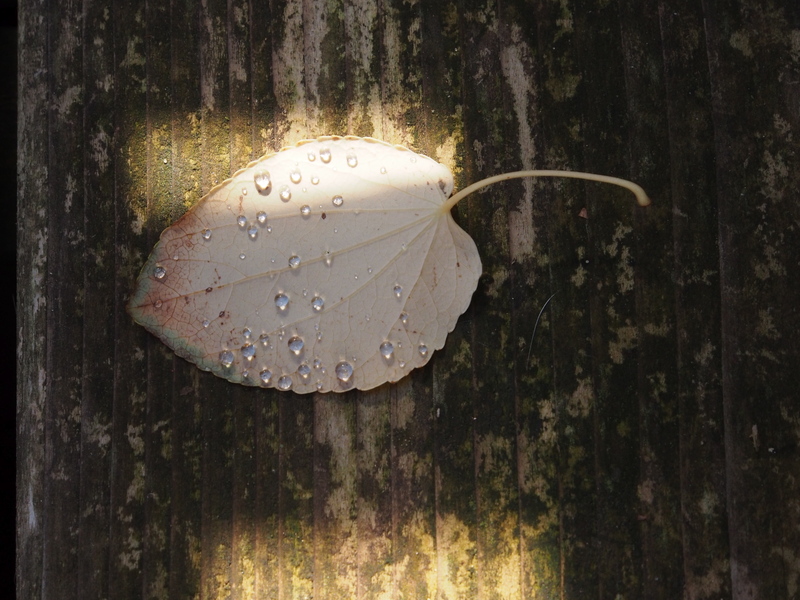 I am always drawn to this same thing, the moisture on a leaf. Enjoying your series of images! Don’t you love those flashes that you receive from the corner of your eye? And how lucky we are that you saw this one. Perfect in its simplicity and beauty. I absolutely LOVE this, Juli. It looks like it is glowing.